Wall sections built more than a year ago as examples of a border wall between U.S. and Mexico were in the process of being removed Wednesday. 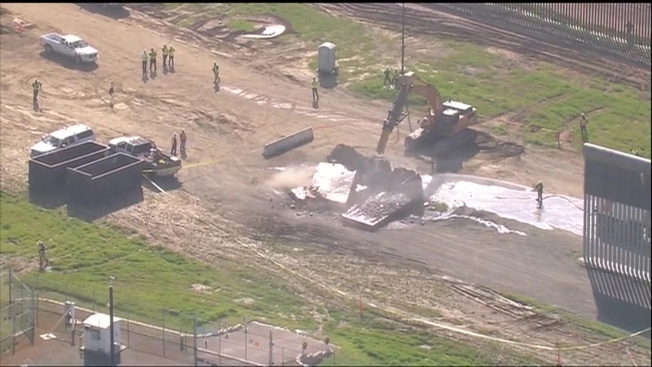 SkyRanger7 captured aerial video of a construction crew dismantling a third prototype while two others lay in pieces. On Tuesday, one worker was drilling into one of the border wall prototypes standing just north of the current border fence and east of the San Ysidro Port of Entry. Last week, U.S. Customs and Border Protection officials said the prototypes will need to be removed to make way for fencing that will replace existing fencing along the border. Crews are working to replace about 12-and-a-half miles of the secondary fencing and add an additional one-and-a-half mile of brand new secondary fencing at a cost of $131 million. The steel bollard fence will stand 30 feet high, double the size of the fencing that's been in place since 1997. Construction of the border wall prototypes was completed in late October 2017 and President Trump visited the area to view the designs in person the following March. A report released by U.S. Customs and Border Protection officials in September suggested the prototypes were able to be breached when tested. 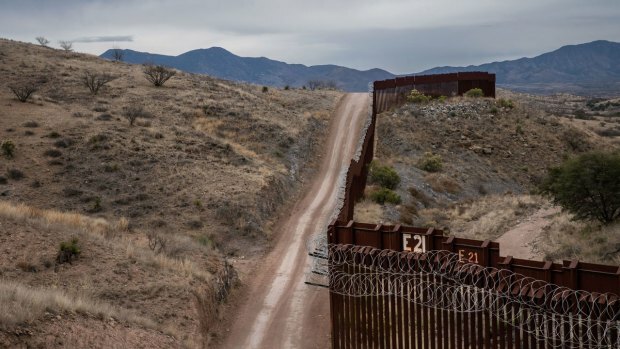 They also found there would be "extensive" or "substantial" challenges building the prototypes on the type of terrain found along the southwest border. While no single prototype was selected as the best design for a border wall, Department of Homeland Security officials told NBC 7 there were features of several prototypes that may be incorporated into future fencing or border barriers. The existing barriers along the southwest border of the U.S. vary between bollard-style fencing on the ground or on top of a levee wall as well as bollards spaced to be a barrier for vehicle traffic and wire mesh-style fencing. The most important design aspect, according to Casterjon, is that the barrier should be one that CBP can see through. They determined they needed a stronger type of material so that the secondary fence could not be breached as easily as the current fence using cordless power tools. CBP also found that the most effective height is 30 feet, which will "allow agents more time to assess a threat or a breach and be able to respond to that area accordingly," according to Casterjon. A report released in July by the U.S. Government Accountability Office stated that CBP awarded six companies orders to design and construct eight barrier prototypes. The cost of those orders was a total value of over $3 million. Four were made from reinforced concrete while four included other materials. 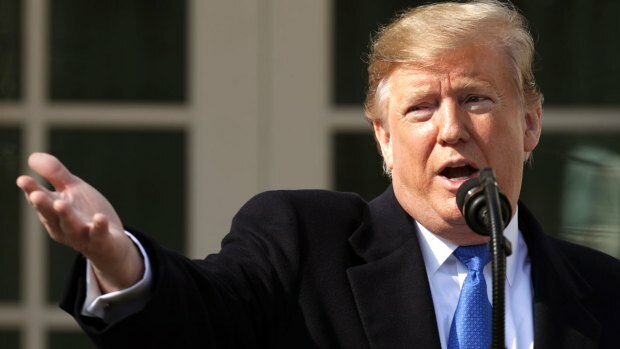 The cost of the demolition was factored into the original $5 million budget for President Trump’s prototype walls. NBC 7 Investigates reported the breakdown of the costs of the prototype project to the region. Local law enforcement officials were concerned about potential disruptions or protests in the area while construction companies were building prototypes. The bulk of the costs to both the city and the county was for overtime pay of law enforcement officers used to secure the area near the border while the prototypes were being built. The San Diego County Sheriff's Department reported $700,000 in overtime costs in connection with the border wall prototype project. NBC 7 obtained records showing the city of San Diego spent $278,000 to protect the prototypes during construction.